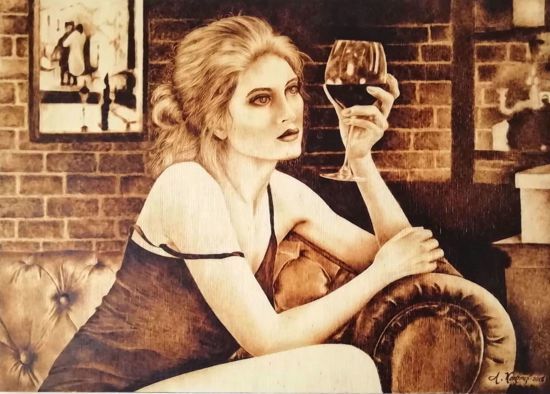 Wood Burning Art - "Weary". 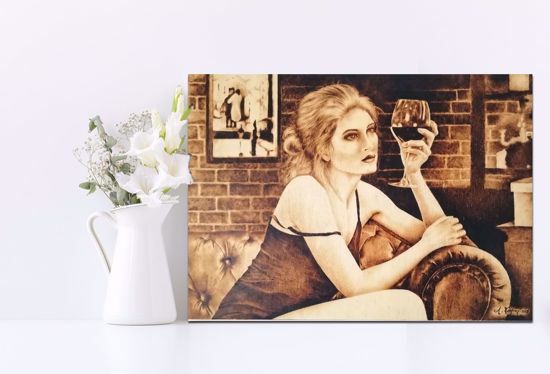 An Original Artwork of Pyrography for You. Pyrography is an art; painting or ornamenting wood or some other materials by making burn marks with the help of a heated metal pen. It is also known as pokerwork or wood burning. Although it seems modern tools make pyrography easier to implement. The real artistic level of this art depends on the artist's hands, applying different pressure, to achieve different tones on the canvas.